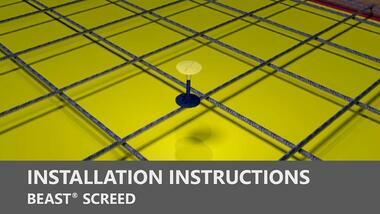 Bring a whole new level of accuracy to your next job with the simple and revolutionary Beast Screed! 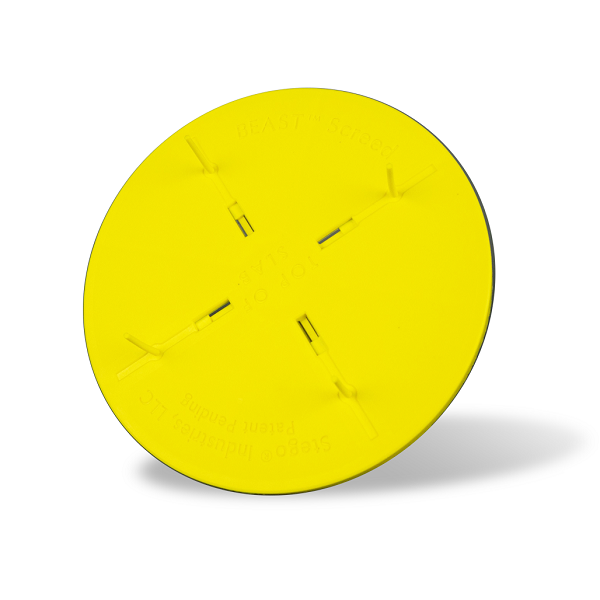 USES: Beast Screed is a fixed-elevation, point-to-point guide screed system designed to replace common wet-screed methods allowing contractors to improve efficiency and maintain concrete floor levelness during the entire screeding process. 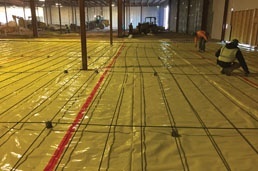 The peel-and-stick base (Beast Foot) eliminates the need to puncture the vapor barrier, therefore Beast Screed is a vapor barrier-safe concrete accessory. 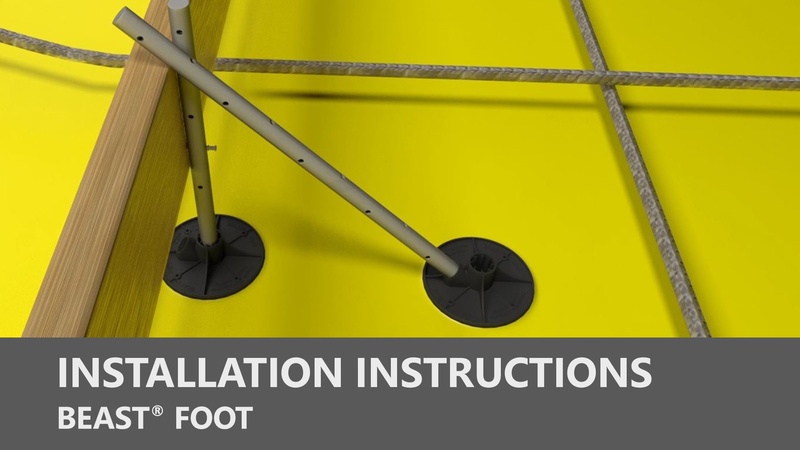 Beast Foot can also be used for vapor barrier-safe interior forming and interior form bracing applications. 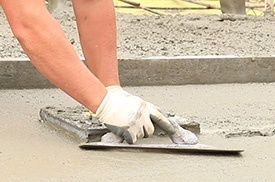 COMPOSITION: Beast Screed consists of three unique components, Beast Foot with peel-and-stick engineered adhesive, Beast Screed Post, and Beast Screed Adjustable Cap. 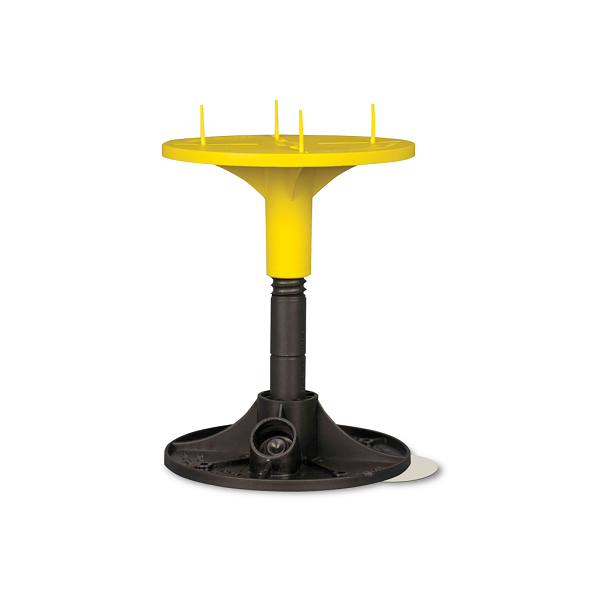 Beast Foot and Beast Screed Post are made from 100% post-industrial and post-consumer polypropylene. 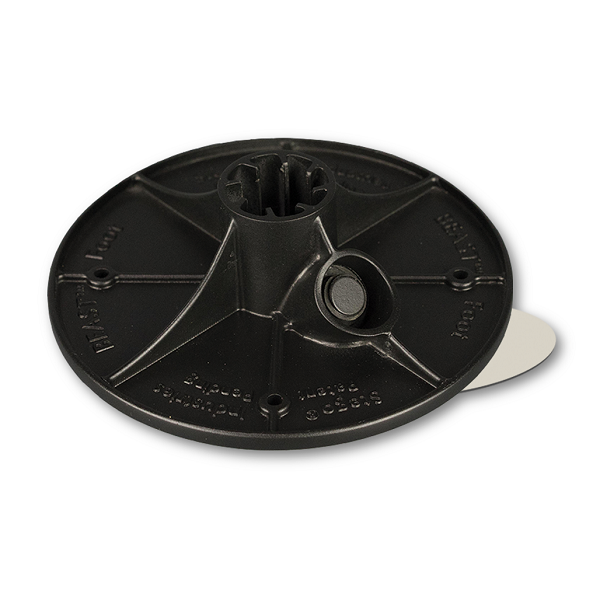 Beast Screed Adjustable Cap is made from 100% virgin polypropylene. 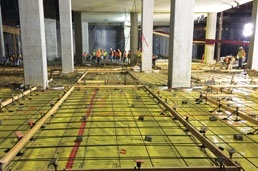 The Beast Screed System is vapor barrier-safe and helps easily satisfy the industry standard, ASTM E1643 Standard Practice for Selection, Design, Installation, and Inspection of Water Vapor Retarders Used in Contact with Earth or Granular Fill Under Concrete Slabs. Section 7.2 Use reinforcing bar supports with base sections that minimize the potential for puncture of the vapor retarder. 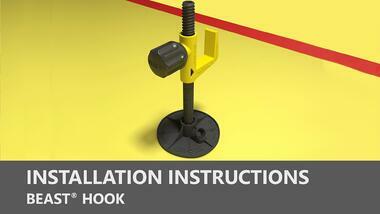 Section 7.3 Avoid use of stakes driven through the vapor retarder. 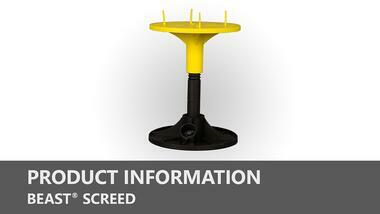 Beast Screed Adjustable Cap. 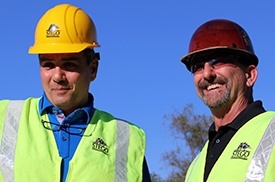 With two inches of adjustability, Beast Screed will easily adjust to ensure a fixed elevation and more accurate FL numbers than common wet-screeding. 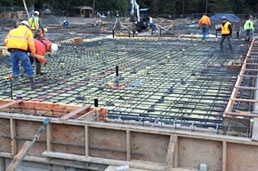 Beast Screed Post with slab elevation markings and easy-to-cut kerf lines, so Beast Screed can be easily customized to screed slabs from 4" to 12" in depth. 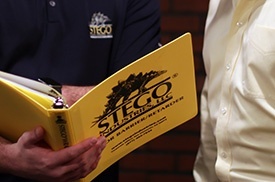 Beast Foot includes an engineered peel-and-stick adhesive that is compatible with Stego Wrap Vapor Barrier. 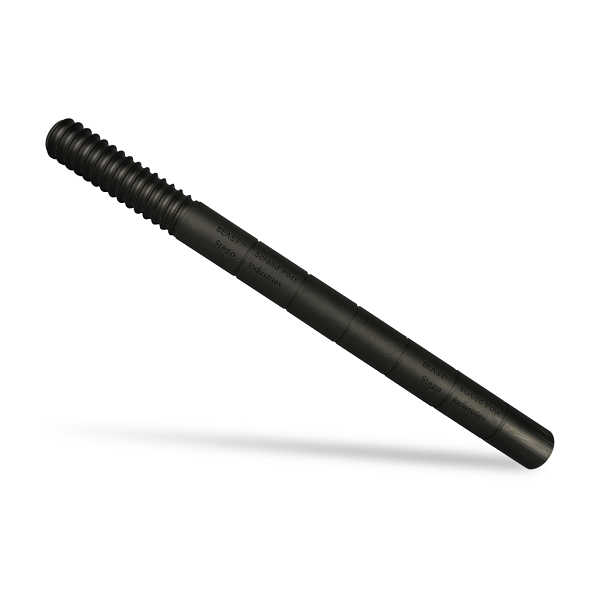 Beast Foot contains a press-fit center hub for the Beast Screed Post (or nail form stake), as well as a threaded side hub for a threaded nail stake for bracing applications.